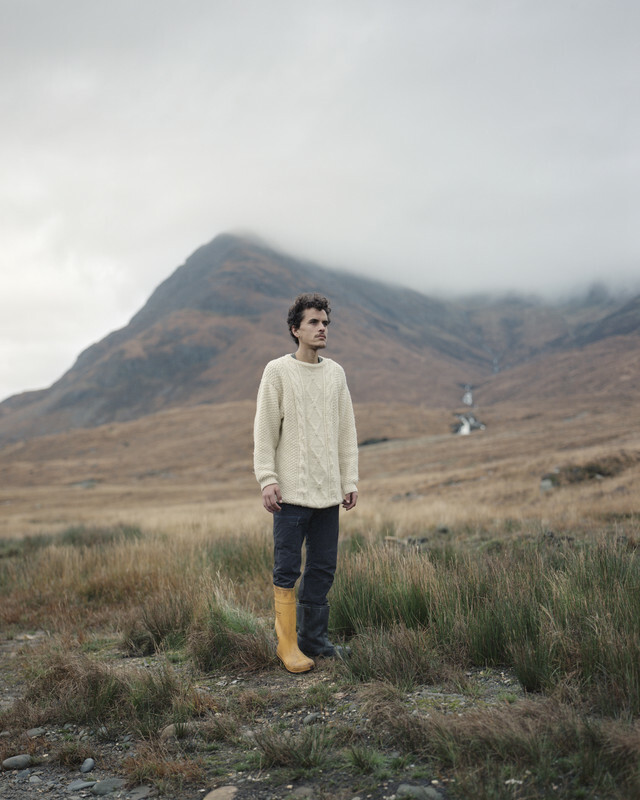 Black Dots is an exploration of mountain bothies and bothy culture throughout the United Kingdom. 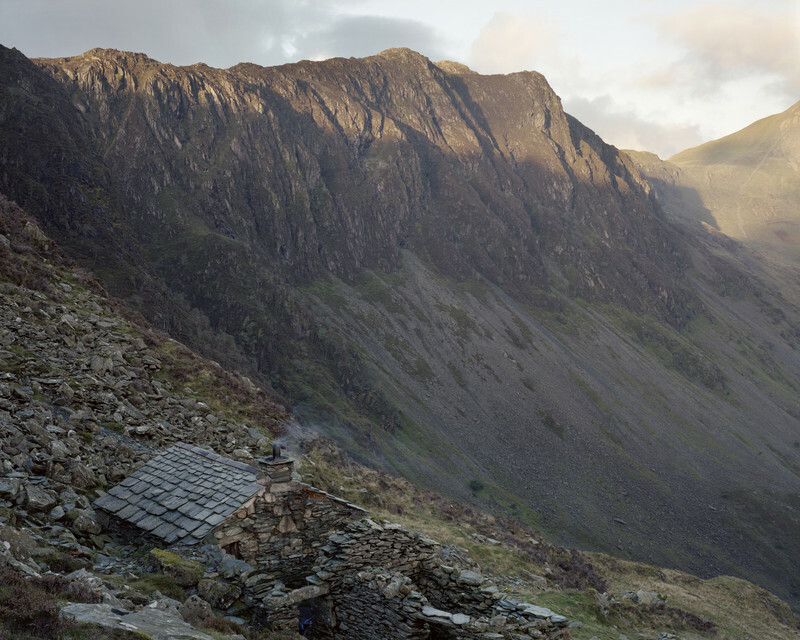 Far from civilisation and mostly accessible only by foot, bothies are secluded mountain shelters scattered across the British Isles and tirelessly maintained by volunteers from the Mountain Bothies Association. Unlocked and free to use, they provide a refuge from the vast terrain that surrounds them and have become an iconic feature of the British landscape over the past fifty years. Bothies are synonymous with the outdoor experience in the UK and from day trippers to mountaineers, the growing community of bothy- users is hugely diverse. 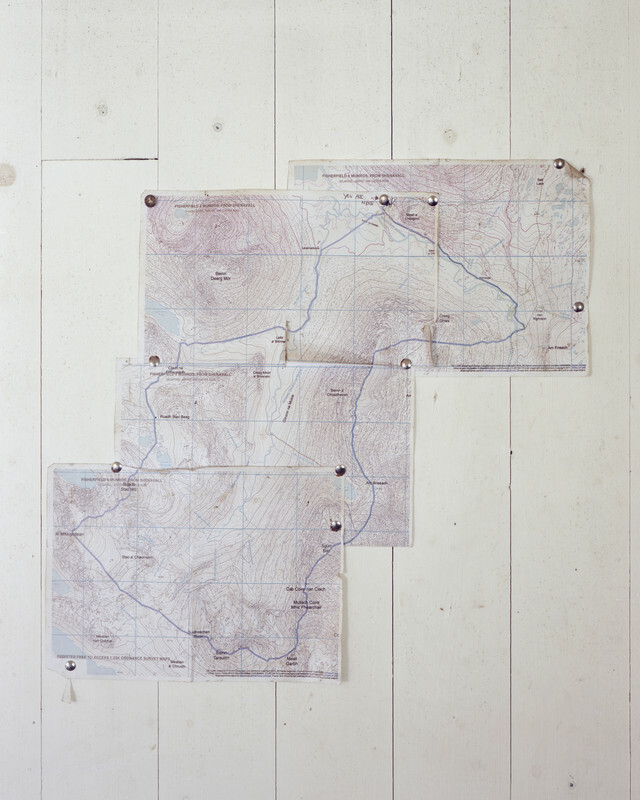 Black Dots is the result of almost three years spent traversing our most remote landscapes in an attempt to better understand what these buildings are, where they’re located and the culture that surrounds them.Drawn not only by the primitive beauty of the bothies and the landscapes they sit within, the work also investigates the human element to the bothy story, capturing the faces of those who trek for hours to temporarily inhabit these spaces, many miles from the nearest settlements. Wind whistling between craggy rocks, stop-start drizzle, and biting cold air that knocks the breath out of you: the British landscape at its most hostile is not somewhere many of us would choose to stop long. But for Nicholas JR White, the pull of the great outdoors is too great to resist, and Britain’s magnificent yetformidable landscapes are places he turns to for inspiration again and again. Recently, it has been bothies – primitive and secluded manmade shelters – and bothy culture that have captured his imagination, and White has spent many weeks over the past three years camped out in these shelters, intent on telling their stories and the tales of those that pass through them. Originally used by farmers, shepherds, and deerstalkers, bothies, thought to be a Scottish word, are dotted around the UK and are commonly found in parts of northern England – including the Lake District and Northumberland – Wales, and Scotland. Often located far from main roads and accessible only by foot, they are usually very basic and may, if you’re lucky, have a small fireplace or a rough raised platform thatcan serve as a makeshift bed. The experience of sheltering in a bothy has been likened to camping without a tent, which gives an indication of the strength of character required! Despite, this, once a fire is lit, and candles too, “it’s surprising how quickly these little shelters come alive,”says White. They become cosy and homely, if only for a short while, and with a dram of whisky in hand offer comfort on a bitter winter’s night. 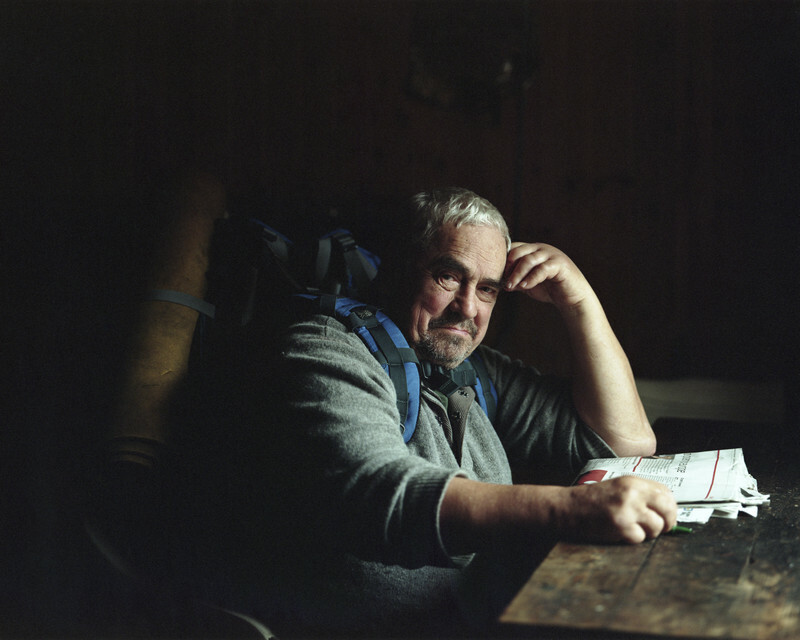 All are welcome to seek shelter in bothies, which are protected and maintained by the UK Mountain Bothies Association, although it is walkers that make use of them most. 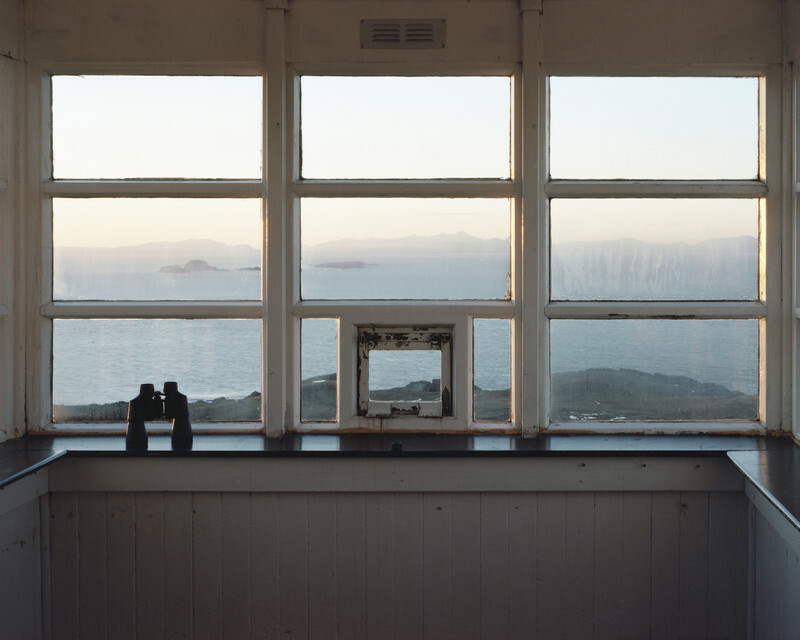 As well as being places in which to rest, bothies provide respite in another way: for some they are spaces – isolated yet strangely inviting, nestled in the landscape far from the hustle and bustle of everyday life – where it is possible to pause and reflect awhile. 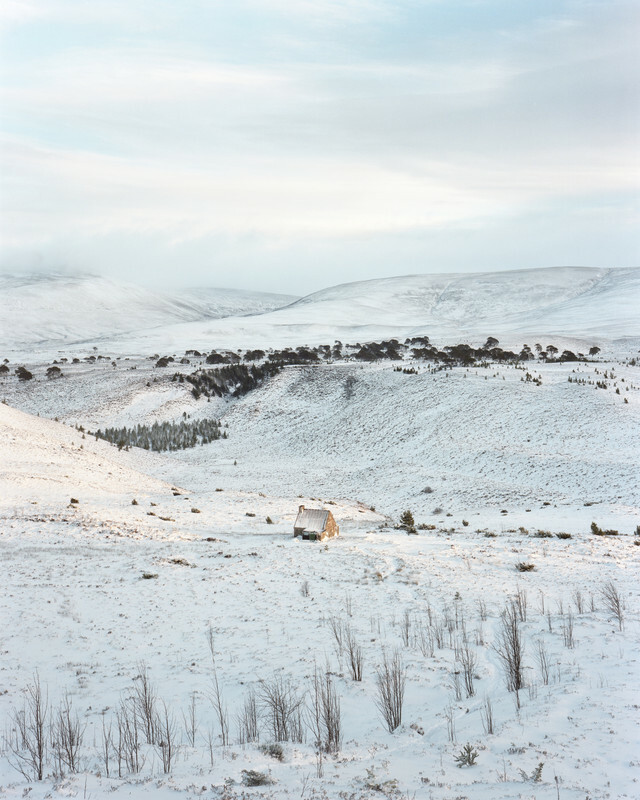 Indeed, for White, the project is as much about his experiences of being alone in the landscape, and what it means to seek solitude and to distance oneself from the busyness of the everyday, as it is about bothies. From expansive landscapes bathed in impossibly beautiful light, to stark, moody skies over rugged vistas, and intimate yet bare-boned interiors, Black Dots serves as an homage not only to bothy culture but to the great British landscape, sculpted as it is over time by human activity and the natural ebb and flow of nature. Although it is the landscapes that take centre-stage, White’s sensitively rendered portraits providea welcome nod to the comings and goings of those who rely on these places for shelter, because it is, after all, the people who make the bothies what they are.